Stop me if you’ve heard this story before ok. You wake up to just one of those perfect mornings to put in some work on your property. You know the kind of day I am talking about, not the super sunny day that will cause you to get a heat stroke just by being out there ten minutes. It’s kind of cloudy, but you know it's not going to rain and that morning dew is even going to help as a lubricant for your tools. Everything is going great until you go into your garage or wherever it is that you put your tools in and realize you forgot to leave them charging all night! This totally ruins your plans for the day because you know what it means. Having to wait hours for it to be fully charged. Then when you eventually get to go out and get to work it's either a very hot day like the one I previously described or its started to rain. If only you could have quick charge tools that would allow you to not miss out on the fun. This actually happened to me, and I started looking for alternatives to the typical pruners out there. I really only needed to trim up a couple of branches every couple of weeks so I was always on the lookout for the perfect day to do it, and now for a decent tool. I found the Snow Joe PJ3600C-SJB online, and really thought it was one of the simplest tools out there. Simple however does not mean necessarily bad. It filled a commodity more than a need for me, but it really speeded up the time I took to do all my landscaping work. I used to have to prune some of my small bushes and trees from ten feet away with a pole pruner, when the branches where less than an arms length away. With the Snow Joe PJ3600C-SJB you can Trim branches up to 0.5 inches thick in less than 0.6 seconds. It's just like cutting with scissors on paper. You get to work up close which is great for really being able to give your bushes decent shapes that look amazing. You can even use it to pick fruit from small trees. It is the tool that works great for the little fixes. One of the best features is also that it is cordless tool. I personally think it's is ridiculous we still have corded tools around in this day an age sorry Sun Joe. Also it can charge in as little as 65 minutes, so if you forgot to charge it you don’t have to wait a full day to be able to use it. It cuts up to 750 times in one charge. And also works great if you work a lot with flowers so that you can always keep them nice and pretty. So it is an outdoors tool that can also help you indoors if you run a flower shop or are a decorator. Really a Big Step Up From A Manual Pruner? A lot of people typically think that if you are going to buy an electric tool it should have at least triple or double the strength of a manual tool. They would not be wrong to want to expect that, however that is not always the case. With the Snow Joe PJ3600C-SJB we do see a little lack of power. 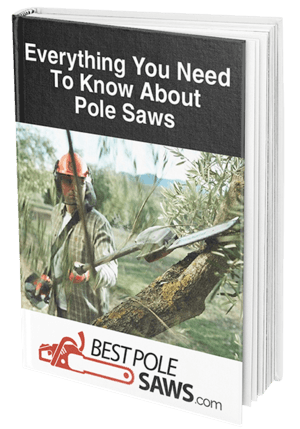 As far as the thickness of branches that it is able to cut compared to manual tools. So that may be a knock on the product. However what it may lack in strength it certainly makes up for in speed. It’s fast cutting feature allows you to get much more work done in less time than a manual. Another knock is maneuverability which actually I thought was great. The person that complained the most about the product’s maneuverability was a 68 year old woman with all due respect maybe it was just her not being able to adjust to the product. That is always something that is hard to do. Especially when it does not meet your expectations right from the start. I think that it does not lack maneuverability, but I do recognize it takes some getting used to. Most people are accustomed to pruning with big pruners that you need two hands to be able to handle. So adjusting to this one hand pruner that is a little bulkier can take some time. That does not mean that it is a bad product in my eyes. On the bright side it really gets the job done quickly. There was a review I found where a woman was talking about how she used to get stung by bees while pruning because of how slow it sometimes turned out to be. With the Snow Joe PJ3600C-SJB you can go in cut quickly into the bushes and leave the animals in peace. Also save you from potential injuries whether it be cuts, stings, or whatever else. You know that proper pruning helps your plants thrive, and this just might be the tool to help you get that done. When people ask me to judge a tool and they want a grade from 1 to 10 or 1 to 5 like Amazon does it really bothers me. Because I think each tool can be judged in so many different ways most of which are not fair judgments in my eyes. I really think that the Snow Joe PJ3600C-SJB is a great commodity for most people. It can get the job done quicker. If you are someone who regularly works with flowers it can be a very good everyday tool. Of course then you will have to face durability issues that may come up. So I think if you use it within its recommended reach. By this I mean don’t try and force it to cut thicker branches and take good overall care of it, this tool can really be useful. If you are going to use it everyday 80 bucks is a great price if your only plan on picking it up once in a while then It really depends on how much you are willing to pay for that type of product. So that you can gather as much information as you can before you buy!